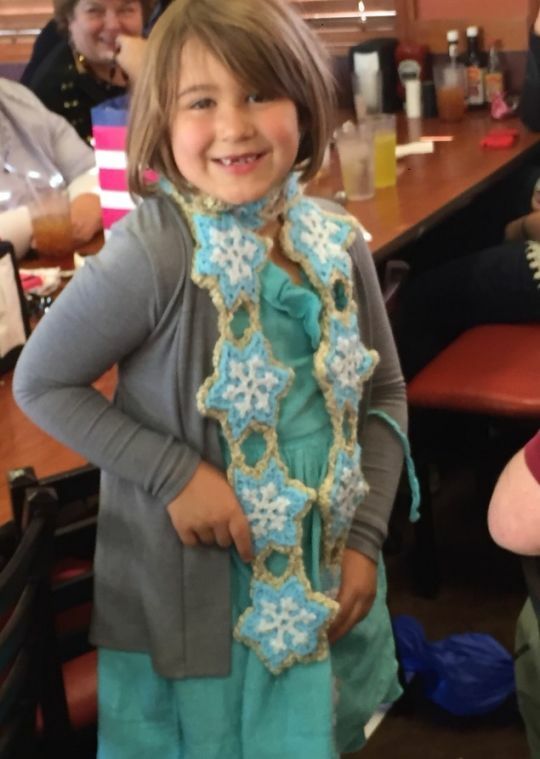 I made this cute scarf for my niece’s birthday. I think she likes it! It is so cute. I hope she loves it.